Colour & Pitch has quickly established itself as a go-to label for deep, melodic and, let’s be honest here, intelligent music, of which their latest release – Aiby & The Noise “Dangerous Liaisons / Dream Suite” - is a perfect example. Barcelona based producers Garcy Noise and Vanessa Aiby’s first appearance on the label came with their storming remix of Teysel’s “”Continuous”, to be quickly followed by this excellent two tracker under their own name. Lead track “Dangerous Liasons” is a warm and welcoming deep dancer that captivates from the first note – and of not from then, from the first “Yeah” which follows 20 odd seconds later. With a vocal top line of “Who needs enemies with a friend like you?” dancing across it’s wonderfully analogue depths and a perfectly old school skipping hi-hat pattern providing an irresistible drive, it’s destined to become a major favourite in next to no time. Companion piece “Dream Suite” is an equally deep affair, but one that’s more of a grower - musically and emotionally. Starting from a drum pattern, other elements – including a distinctly enigmatic spoken vocal and a nicely growling bass - are added gradually until roughly the 3 minute mark, when it breaks into sparser reverb drenched territory; by then you’re on so much of a journey you might get lost, where it not for the percussion coming back to show you the way home. Lovely stuff. 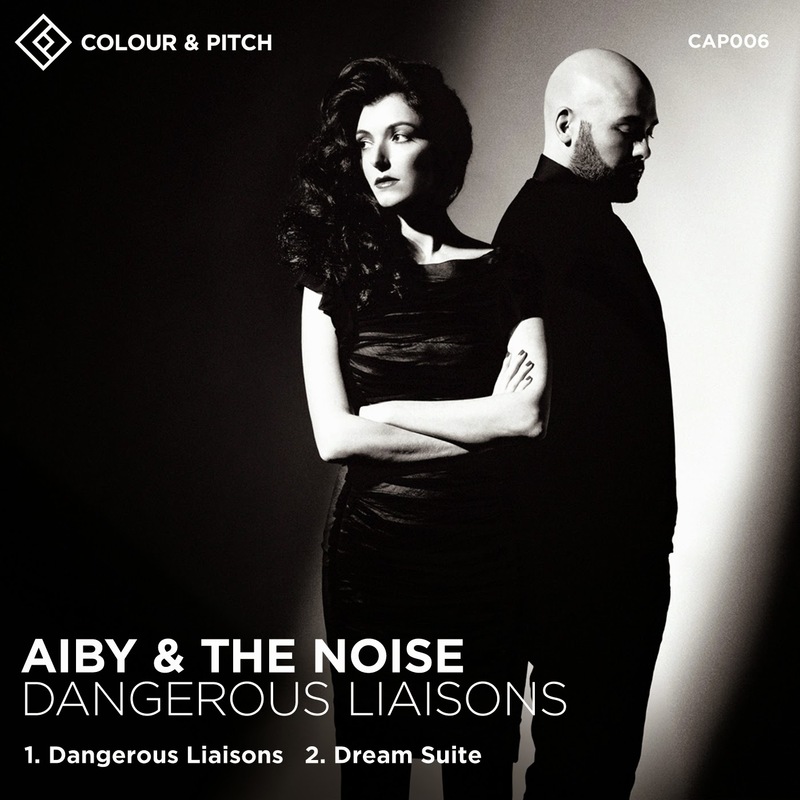 Aiby & The Noise “Dangerous Liasons” / “Dream Suite” , Colour & Pitch (CAP006) is available as a Beatport exclusive until December 9th, when it hits iTunes and all other online stores. Buy it.